A loan of $500 helped a member to buy more coffee seedlings for increased production hence increased income to provide food for her family. The lady raising her hand in the photo is Sheila. She is 33 years old, married and blessed with 6 children. She is a member of Tilya Women Group which joined Hand in Hand Eastern Africa in the year 2016 and has benefited from enterprise development and financial management training. She is a coffee farmer. 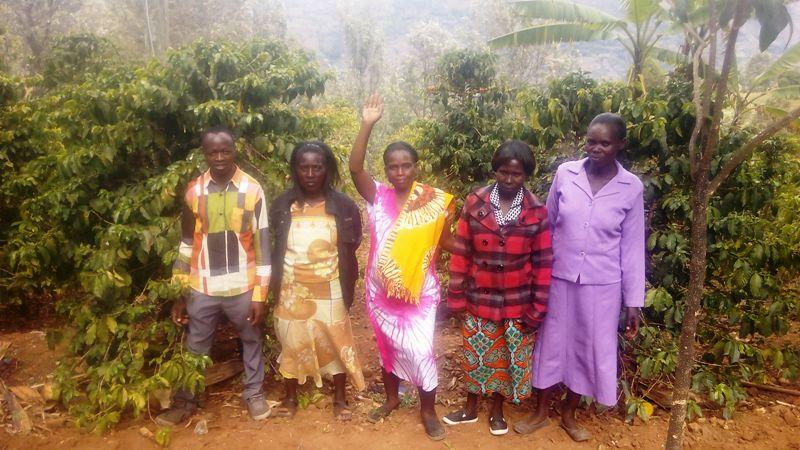 She is borrowing a Kiva loan to buy more coffee seedlings. She hopes this will increase her production hence increasing her income. She will therefore use the anticipated income to provide food for her family.